Bookcase with twin serpentine backbones. 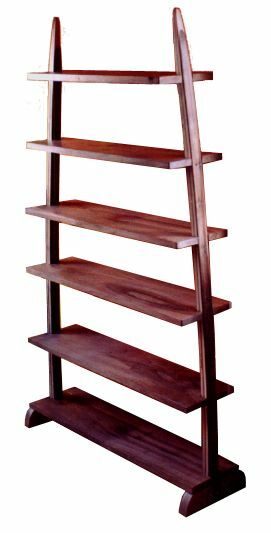 Shelves in walnut, structure in cold-moulded laminated walnut and sycamore with steel shelf supports. 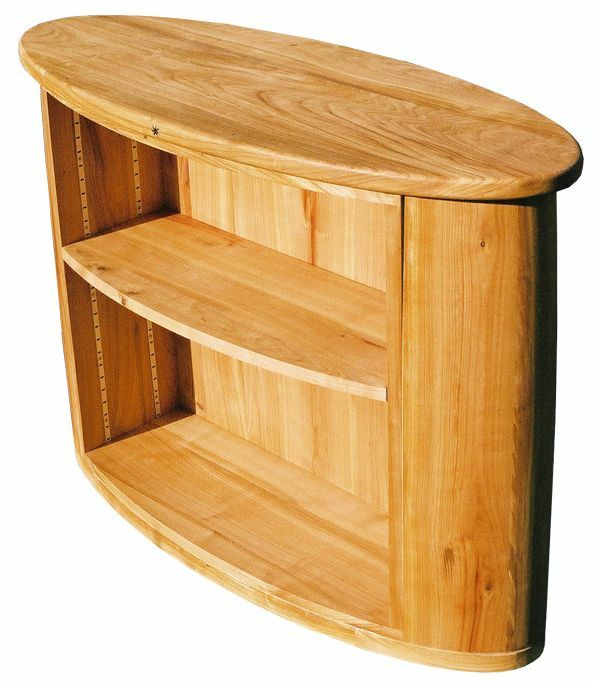 Small oval bookcase in mérisier (wild cherry wood) with adjustable shelf height. Model pictured below 1090 x 440 x 800mm (W x D x H), variable according to client’s requirements. Bookcase with twin supports in the form of elephant tusks. 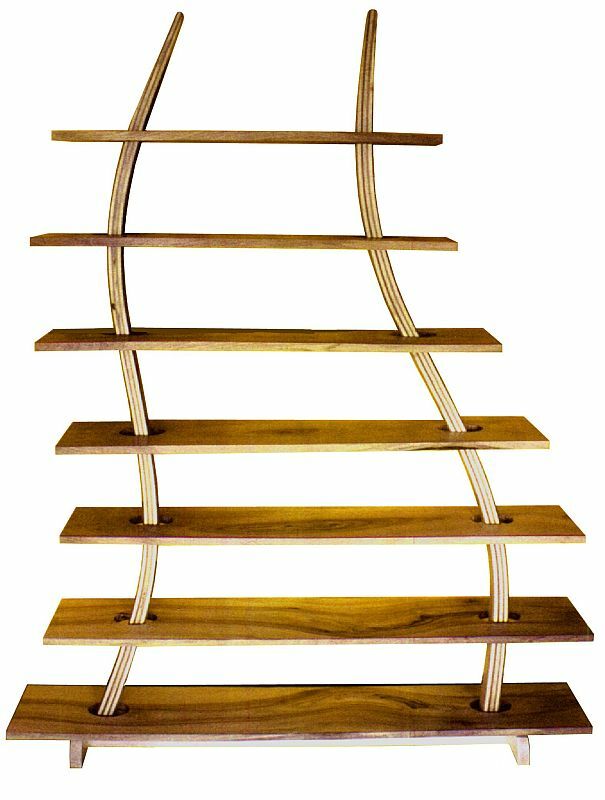 Shelves in walnut, structure in cold-moulded laminated walnut and sycamore with steel shelf supports.